Jonathan Schuppe is a crime and government reporter who has spent much of his reporting life in and around Newark, NJ. In that time, he’s seen first hand the results of shattered lives and their effects on children. But he tells a different story in his new book, “A Chance to Win.” Don Merrill talks with Mr. Schuppe about a special man who got a bunch of inner city kids interested in forming a sports team. And not basketball or football. Several months ago, I decided I didn’t want to interview solely musicians. I wanted to also focus on other creative types like authors and comedians as well as scientists, policy makers and entrepreneurs. And it’s funny … sometimes, when you ask for something (and work toward it), you get it. In the last several months, I’ve talked with all of those, but I’ve especially noticed my shift recently. In the last few days, I’ve done two interviews – one was with an author, and the other was with a comedian and humorist turned author. And I’ve realized something about interviewing authors. They want to read from their book. I talked w/Jonathan Schuppe, author of “A Chance to Win.” It’s a story of a man who was made wheelchair bound by a drive by shooting ten years earlier, and realized that he needed to be more than he was, so he started a baseball team for inner city New Jersey youth. It was Mr. Schuppe’s first book, and I knew how proud and excited he was to be talking about it. But only after we said goodbye did I realize it would’ve been great to have him read from it. I didn’t make that same mistake during the next interview. Jonathan Goldstein is the host of a CBC program called, “Wiretap.” Wikipedia describes it as “a program which does not fit easily into the comedy category. The show has been described as “a weekly half-hour of conversation, storytelling and introspection, culled from equal parts real-world experience and the warp of Goldstein’s imagination.” And when talking to comedians and humorists, I always expect them to be “on.” But Mr. Goldstein was quite pleasant, cogent and enthused about his book, and in no way felt any need to play any role while we talked. Fortunately, I remembered to ask him to read from his book, and the selection dovetailed perfectly into a path we were following about aging and family. Authors are, at the same time, proud and full of eqo, and wanting to feel like people care about what they have to say. 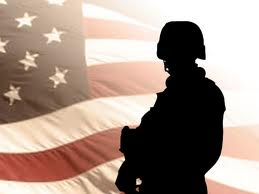 In those respects, they aren’t much different from the rest of us. But how they are different is they have done something incredibly difficult. Sitting alone, and sticking to the job of creating something, with only yourself as company can be both empowering and torturous. You lay all of your opinions of yourself bare while you see if you are actually worthy of them, since writing a book is only you. If you don’t follow through, all of the big talk you have for yourself is shown to be pretty worthless pretty quick. The other thing about book interviews is the author has to kind of go through a song and dance to get people to pay attention to his or her Herculean effort. It’s how the industry is geared, and it’s kind of unavoidable, but it must get kind of grueling too. Most agents are just as concerned about how you will promote your book and what resources you will bring to the table to promote it as they are about how good the writing is or how compelling is the story you’re telling. The author, having just finished this massive task, now has to put on their seersucker suit and pork pie hat and start shaking hands. I’ve talked about it before that media and authors are in this promotional dance. And I don’t envy them for it. Hell, at some point, I hope to be one of them. But every now and then, it’s nice to be reminded that no matter who you are, you have to do it. And that brings me to an interview I recently heard between NPR’s “Fresh Air” host Terry Gross and novelist Stephen King. 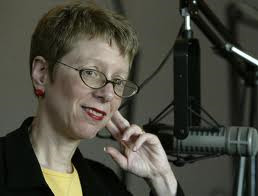 Those two are definitely at the top of their respective games – Terry Gross is the reigning Queen of the interview. And Stephen King is everywhere, has been everywhere, and judging from his newest releases and TV adaptations, will be everywhere for the near future. So when these two A-listers talk about what I’ve just spent several paragraphs talking about, it shows that authors and interviewers are feeling it. Here is an excerpt beginning from about 34:30 in their conversation. Jonathan Goldstein is the host of the Canadian Broadcasting Company program “Wiretap”, a satirical look at relationships and existentialism from the perspective of a middle-aged Jewish man. That perspective is now also in print in Mr. Goldstein’s first book, “I’ll Seize the Day Tomorrow.” Don Merrill talked w/Jonathan about his love for words and their power for good and ill. Eliminating the negative messages that have been aimed at black people has been a daunting task. But Enola Aird, President and founder of the Community Healing Network, says she and her organization will be well on the way to doing that by 2019, the 400th anniversary of slavery having been introduced to the US. Don Merrill talks with Ms. Aird about the work of CHN and the plan to accomplish that laudable goal. Hear the full length conversation at http://www.convers.us. People are always ready to tell you that you don’t know what you’re talking about or what you’re doing. 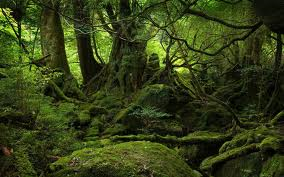 And while it’s true that sometimes, you can’t see the forest for the trees, nobody knows your situation better than you and in the end, you are the main one who has to make your choices and live with them. People get passionate about the spillover, though. Maybe they’re really, really invested in your decision and your choice changes something in their life that they don’t want changed. Or maybe it’s a credibility issue; if you break away from their opinion or expertise, they lose their authority somehow, so their goal is to shoot holes in yours. But even the “experts” can be wrong, and the people who have the gut feeling can be right. I found this on the Wikipedia about the Monk TV show while researching the last post. Sometimes, the only opinion that matters is the person down in the arena who is actually fighting the lion. Dr. Gregory House: Chase, Cameron and Foreman. Are they his foils or his slaves or his torturers? Whatever they are, when he lost them, he went downhill. You can’t replace passion, reason and, uh … whatever, with an entire classroom. Captain James T. Kirk: Bones, Spock and Scotty. Again, passion, reason and something in-between. You need that something in between that is part, “Jim, don’t do it” and “Captain, we don’t have the power!” Again, you’re not necessarily going to argue with three brains that know your one brain all too well. Marshall Matt Dillon: Doc, Kitty and Festus (or Chester). A gritty brain trust from the mid 19th century that never steered James Arness wrong. Doc was old but feisty as hell. Kitty was a gravelly voiced barroom beauty with a mean sucker punch. Dennis Weaver as Chester was eager and loyal and was replaced by Festus who I just loved. Festus was a man for the ages. If you had a Festus, you had nothing to worry about. Newly never seemed to fit in the clique. Never. Special Agent Leroy Jethro Gibbs: For our more modern times, Ziva, McGee and DeNozo. Are you seeing a pattern here? 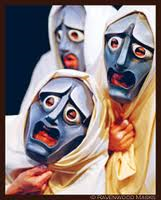 The person with the Greek Chorus is usually someone with great responsibility. They’re almost a tragic figure in how the Gods have positioned them to do their duty in the world. Mark Harmon’s character drives his charges as hard as he deeply loves them and savagely protects them. Colonel Robert E. Hogan: Kinch, LeBeau and Newkirk. A passionate Frenchman, a methodical Irish con man, and an African American geek genius. Together, they advised, protected and beat up on Bob Crane’s cool concentration camp colonel. Although Hogan’s Heroes was comedy, Crane probably could’ve used a Greek Chorus off set. Detective Adrian Monk: Randy, Sharona (or Natalie) and Leland. Tony Shalhoub’s brilliantly played OCD suffering character was best served by his chorus by their compassion for him. The totally understood this heroic figure that they saw shot down by the murder of his wife, and they did everything they could to clear the path for him so he could at least function. Eventually, their love for him led him to redemption and recovery. Oh, and let’s not leave out many of the reality talent shows; The Voice, So You Think You Can Dance and of course, American Idol. Although most choruses are represented in threes, (American Idol had Randy, Paula and Simon for eight seasons, until the ninth, when they added a fourth judge), many other reality shows have four or more. In many cases, the Greek Chorus foretold of impending disasters that would befall the hapless person they were singing about by pointing out weaknesses that would bring them down if they didn’t change course. Or, it represented the fears or hopes or rage of the main character that he or she could not openly express because to do so would jeopardize their position of authority. While I ain’t the boss of nobody, I wouldn’t discount the advice of three people who knew me as well as I knew myself. Think of the places we could go? Maybe I’ll put something on Craig’s List.